The Blues boss told the club’s website: “The table looks incredibly open between four teams and it’s close – I wouldn’t say that anyone is particularly in the driving seat. Along with Sunderland we’re a place behind Barnsley with a game in hand and you have to say that Charlton are in there as well. “We’re really pleased with the performance and how our players responded to the pressure. You could see from Rochdale’s attacking formation that they didn’t come here to defend – they wanted to take the game to us, which suited us to a degree. They’re fighting for their lives down at the bottom, have changed their manager and been on a decent recent run. Burton Albion are certainly upsetting the promotion apple cart at the moment. Last weekend they ended Barnsley’s long unbeaten run with a 3-1 win at the Pirelli Stadium and then on Tuesday, they carved out a 1-1 at Sunderland. Pompey, of course, are the next visitors to the Staffordshire club on Good Friday for a televised game. After that, they entertain Luton and take a trip to play off hopefuls Peterborough. It is going to be a tough test for Pompey. 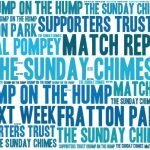 I have been supporting Pompey for very nearly sixty years and over most of that period I have only rarely been able to think that I have real pride in the club I support. As a young lad, the side began the slide down the divisions and then when that was arrested the club hit financial problems, scrapped the reserve and youth sides and ran with a squad of eighteen. In the seventies, we had the Deacon era with huge spending and disastrous results with the club reaching the bottom rung of the league ladder with a loud bang! 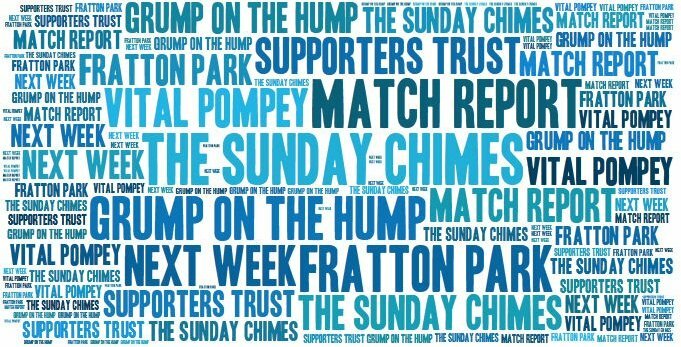 Hooliganism affected a lot of clubs but Pompey were suffering more than most and their name was dragged through the mud by the media for many years. Alan Ball came and gave us pride but after one season in Division One, Deacon sold up and Pompey sunk again into mediocrity before Milan arrived. He took us to where we belong and then made the mistake of selling to the wrong man and more shame was to follow. But now after the club was bought out by the fans, we can now have pride in what we have achieved – the League Two championship, a winning Wembley final with over 40,000 fans cheering on our team, Community Club of the year for the second time and even the Women’s side is collecting silverware. Am I proud of the team I support? I am now. Jean-Eric Choupo-Moting is the new king of And finally… thanks to his efforts for PSG at the weekend. Choupo-Moting’s intervention on the goal line against Strasbourg was catastrophically inept that it has to go down as the worst miss of all time.